Sharing Is Caring:) Share More And More. Shopclues Raksha Bandhan Sale. :This year, Raksha Bandhan is going to be celebrated on 18th August. As the Raksha Bandhan day coming nearer, you need to gear up for buying your desired type of gifts for gifting your loved ones. 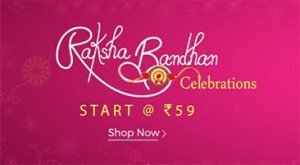 For doing your search buy gifts Raksha Bandhan easy, Shopclues has started its special Shopclues Raksha Bandhan Sale. 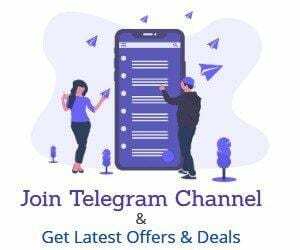 You may already know shopclus Is The Destination Where You Can Get Cheaper Products And This Seassion Shopclues Also Giving Good Offers Below Is List Of Best selling Products On Shopclues .com You Must Watch at least them. During this Raksha Bandhan Sale, Shopclues store will be offering you Rakhis, Jewellery, Chocolates, Watches, Grooming Accessories, Apparels for Men, Women, and Kids at lowest ever prices. Combo Of 3 Peacock Rakhi With Tilak.